A few months ago, I was introduced to Twisted Silver, a jewelry company with versatile, funky, and yes, fabulous jewelry. They were generous enough to give me a bracelet that is unlike anything I’ve ever seen. I have never owned a piece of jewelry that is so unique and garners so many comments. When I wear the bracelet, I get TONS of positive feedback, and you all know that makes me VERY happy. I like in person compliments as much as I like on-line ones. So, this weeks Wordful Wednesday is the bracelet that was just publicly introduced into Twisted Silver’s line. If you’d like to own one too, head on over to Twisted Silver and then come back here and tell me which piece in their collection that you like the best. My tip for the day is all about the importance of accessorizing. It definitely makes any outfit and if you are anything like me, then it will make you feel so much better about your ensemble as a whole. Just do it. Buy a few fun pieces that “speak to you” and see what a difference they make. Mr. Linky is below…..I can’t wait to see what you are feeling wordy about today! *Thank you for sticking with me everyone. I’m a computer moron and don’t know how to fix the Mr. Linky issue on Explorer. It appears fine of Firefox, but Explorer-who knows? If you do, let me know. Don’t forget to check in with my fellow Tea Party Hostesses for other great giveaways all week long. Oh, I love that! Off to check them out. And, very excited that I FINALLY remembered to post and entry! Hmmm. While we can enter our name and URL there’s a bunch of jibberish right above that can’t be made out. It’s after your post and before Mr. Linky so that’s good. You just can’t actually see the numbers with the names. I’m sure it’ll work itself out! This necklace is pretty cool Angie. Is there writing on it? I’m trying to make it out. Cool – I don’t wear much jewels though besides the basics – I loved bracelets but have been carrying babies for so many years – that I don’t wear them any longer. (they were always breaking from the weight of a child). And I Don’t wear earrings b/c I have babies pulling and tugging at them! I wear my Tiffany necklace and each child of mine has used it as a handle to hang onto me!! Too funny!! Oh, and, Live.Love.Eat, I thought it was just me! Oh! I love the flower dome ring! And the Heist Necklance. And of course the Hope Bracelet, cause everyone needs some hope. Let’s not forget the funky silver necklace. Did I mention that I love jewelery?? *sigh* This has been fun! FYI: I signed up, but Mr. Linky seems to be having a prob (others are noticing too it seems). I’m jyl @ mommygossip at http://mommygossip.blogspot.com just in case :). NEWSFLASH- someone just jackd up your Mr Linky. I say we grab our torches and storm their blog. I’m with the others…somethin’ is up with Linky. How does someone ‘jack your Mr. Linky’??? Weird. On my way to Twisted Silver. And then you get an EXTRA comment from me with my favorite piece. love the love bracelet..pretty items. I love their chic necklace. I would SO love to win any of their stuff though… although it’s probably unlikely! I’m with Jay… I’m about to grab my torch and storm the blog of the culprit who got to your Mr. Linky! What’s up with Mr. Linky? Once again, I am delighted with posting Wordful Wed. on Tuesday, since I have to work tomorrow and may forget to post. I needed a beach picture fix, so I posted one of my favorite beach pics. I understand that you are taking a break from beach pics, but just know that this mama can never get enough beach PHOTOS! LOVE THEM! All their stuff is so pretty. All. Of. It. It is beautiful and I found lots of things to add to my holiday list!!! A magical WW to you! I don’t think Mr. Linky is working.. hmm.. Love the necklace though. I love it! I so have to check it out! Love the bracelet! Thought it was just me and the Mr. Linky issue! Man, more like what do I NOT love over at TS. 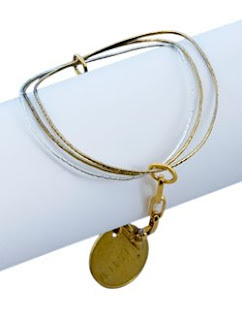 I dig the Love bangle, whisper bangles, the charms to add to the bangles or a necklace. I could go on and on and on and on! Umm, I hit Mr. Linky and it accidently posted me at my test blog…….I’m think I’m going to want to redo this one, could you delete me please? Or I will, as soon as Mr. linky is being nice again. I love TS! Love, love, love. And I am really enjoying the tea party. Wrote a post about it on my review blog! And wore my tea party hat! Ditto on Mr. Linky. I see nothing but will visit from comments I guess. And the TS piece that I love is the classic bracelet. I love everything too! The Chic necklace, the bracelets… all of it. love the bracelet, their stuff is so beautiful! I love their stuff! Wow! I like the Sleek necklace! Mr. Linky will not let me post. Have no idea what is going on, so will try later!!! First time on Wordful Wednesday…I hope it went through since I couldn’t see some of the info (showed up as a bunch of lines)! I can’t wait to check out this jewelry! I love the tangle bangle–I’ve never seen anything quite like it! Beautiful!! Well, this is my kind of jewelry, I will have to check it out! I was happy for Wordful Wednesday to come around this week! Have a great WW! “favorite” is such a hard word. I have fallen for at least three different necklaces – but love that they are all convertibles – double duty is always a bonus. And the Flower Dome Ring is beautiful as well. Lots and lots of pretties. Really? A favorite? There are too many to pick from, I think Tangle Bangle is my favorite as well!! I can’t decide between tattoo and bling! I love them both! Mine is wordful. I would love for anyone to come and visit..
hey the site is good. can you suggest some more jewelery sites like this? Mr. Linky is sick! Ick- I feel for him, I had it last week! I will sign him anyway and see if he feels better tomorrow…. i like the twinkle charm because you can wear it with gold tone or silver tone jewelry AND there is just a tiny bit of sparkle ( i don’t like to overdo it on the sparkle ). today my plan is to actually sit down with a cup of tea and enjoy all the great photos of WW. not sure i will be playing, as i am feeling sorry for myself and am having a mini-crisis. i am getting GREAT advice on the post i have up, so i may just leave it to see what other pearls of wisdom i can receive. Patchwork Convertible with Charm necklace. who knows – maybe Christmas will come early. I love the tattoo ring, very cool! i love that site…right now i really adore the tangle bangle! Love the jewelry! I love the Attitude bracelet! I can type in my name and url..however the rest can’t be seen. It is in very small print or not there at all. As far as being able to comment..I just started to hit the small lines I saw on the page and got lucky..tehe!! Hope you have a good day!! I love the Crazy Bubbles bracelet in silver. Thanks for another great giveaway! I really like the Flower collection ,especially the Flower bracelet. I love having pretty jewelery! Hope the funky small print gets worked out. Is it Mr. linky? Love this bracelet and I am a big fan of the first necklace you gave away…and how cool you are that you had the bracelet before the public! i am so jealous that you got the exclusive…i love their goodies…so much fun! And you are right on: good accessories can definitely “make” the outfit!! I like the scroll ring. I can never find pretty copper jewelry and I love the twisty pattern etched on the face: it looks like medusa’s snakes. I love the Horse Bit Belt. I really like the beatnik bracelet. Thanks! I’ve got lots of wordful things on my blog, just go look! What I’m here for is the Twisted Silver. Did you really think that I would miss this? My *new* favorite is the Attitude Necklace. I also heart that Go Go Convertible Belt; we have yet to delve into that category. I’m not going to try the Mr Linky. I’d never forgive myself if I broke it. In addition to the bracelet being given away, I also love the Tattoo Ring. Now I know where to send DH to look for that perfect Christmas gift for me. I adore there Funky Silver Bracelet. Was having some trouble finding where to post a comment. Thank God for command + it makes all tiny type BIGGER. -Your post a comment link is Super Microscopic and there was a lot of command + going on here. How is that for dedication?! I like all the belts, the Gypsy earrings & braclet, the tatoo ring, and a bunch of the necklaces! Now I'm off to try and figure out how to read the links for the other posters…. I like the Chic Necklace. They have great stuff! Thanks for the chance Angie! The Diva necklace is awesome! I like the Bubbles Necklace best. Thank you. Oops. I just realized I accidentally added to last week’s linky. All set up right now. Haha. I was wondering why no one was stopping by! Me again! just checked out twisted silver… I like the diva choker necklace, the Athena bracelet and the patchwork charm best. Great give-away! I adore the Motif earrings. Twisted Silver is a wonderful store. I love that bracelet, and I also love their Sweet Necklace. You and Mannequin need to get me in on some of this stuff! I like the Flower Bracelet best. I love the scroll ring — so pretty! I love Twisted Silver jewelry – sent their link to DH for Christmas gift hint. The Athena is quite lovely. I love that, will have to go check them out. I love the starfish brass hoop earings. This is some gorgeous stuff. I love the bracelet with the flowers toward the bottom of the page. Nice stuff. Glad you reminded us about them! Oh, I have eyed there stuff for a while now. I really like the Gypsy necklace. The Chic necklace caught my eye.I am a subscriber. i can see Mr. Linky with IE. And if you are a computer moron, I must really need help. Your blog is beautiful! Looks like Mr. Linky likes you again…Yea! Thanks for stopping by my blog. I LOVE the Beatnik Bracelet in Silver. love the deco earrings! cute blog! I love the Flower Earrings. Thanks for the contest! Oh My FAB! That is one lovely lookin’ bracelet! I love the Diva Necklace and Flower Dome ring! Glad Mr. Linky is up and running again! I love jewelry, and am always looking for cool gift ideas. I will have to check it out..Thanks! Bring on that Fusion Necklace. I love the Lithe Long Brass earrings- thanks for the chance to win! I love the candy wrapper necklace. all those colors and so much length it will be sure to garner attention. I love the 7 Bracelet!! Such gorgeous pieces of jewelry! LOVE that bracelet! And getting it before it was out on the market is total icing on the cake! That’s a great (unique) bracelet! My favorite item at Twisted Silver is the Attitude Necklace. I’m SO in love with Twisted Silver. Seriously in love. I need to get some of their stuff. Maybe for Christmas. My favorite necklaces are Tre and Gypsy. I’ve been coveting them for a while. Adding your contest to Way Back too! I love the bracelet Flower. It would go with almost anything. Thanks for introducing Twisted Silver to me. I love the hepburn earrings. They are gorgeous and the name says it all. The stage bracelet is stunning too. It is hard to pick one piece. i love the athena bracelet. Aren't they so very beautiful? It’s hard to pick but I’d say the alabaster necklace! I love the Penny Candy Bling belt! I like the Patchwork charm necklace. Thanks for the great giveaway. Awesome stuff. These giveways are really nice. Hope your enjoying your new home. I guess it’s a good thing I use Firefox or Safari (no IE for me!). I sometimes have to check my blog in IE to make sure it hasn’t messed something up! I like almost everything >< But if I had to pick one thing … I'd say the Chain Maille Bracelet. This was my 1st Wordful Wednesday, how fun! my favorite is the classic necklace. I like the Hope Bracelet best! Christina – xristya@rock.com – I love the Medallion Necklace from Twisted Silver – very classical! I love Twisted Silver and dig their Love bracelet! I love the Sleek necklace 🙂 Please enter me and thank you for the generous giveaway! I’m so excited – the blog Gods are smiling, and I can read your links!!! Goody goody – at naptime I’ll be back! I like the zen bracelet. Thanks for the contest! I like the chic necklace. Ah! You’re making me choose?… then it’s gotta be the Chain Maille Convertible Necklace/Bracelet for me! Thx! My favorite is the Dragonfly necklace. My favorite is the Beatnik Bracelet in Silver. I really like the Infinity Necklace. Thanks for the great contest!! love the dragon fly necklace!!! The Starfish Earrings are calling my name! i like the beatnik necklace. My Grand Daughter loves the Bongo Earrings. The Silver Beatnik necklace is my favorite! My favorite is the Beatnik bracelet. i like the beatnik bracelet! I like the Whisper Bangle Gold. I like the Vintage Bling Necklace. I like the Bling earrings in silver. I still love the patchwork convertible necklace/charm (you did give this away awhile ago if I’m remembering right)and the go go opera convertible necklace/belt. They have so many great pieces! Awesome giveaway! Thank you for having this. I like the Tre necklace. Thank you! I really liked the Crazy Bubbles in Silver bracelet. Thank you for the contest. I’m torn between the Patchwork Convertible with Charm and the Cameo Trio. Very pretty stuff! I love the “Love” and “Acorn” charms! So pretty! I am in love with their Beatnik bracelet! Thank you! I love the starfish earrings. Thanks!!! I absolutely LOVE the “Romance” brass bangle. Gorgeous!! My favorite is the Hope necklace. Well I want them all but if Im not being greedy the heist necklace is my favorite! really like the “classic” bracelet. The Athena bracelet is simply a work of art I would love to display on my arm. Keep it going, great stuff. Twisted Silver has the most incredible unique jewelry! I love to accessorize with jewelry and I do not own anything like the stunning jewelry I saw today on their website. I am in love with the Medallion Necklace. I love the fact that you can easily wear the necklaces at Twisted Silver as a necklace, or they can easily be wrapped around your wrist a few times and convert into a bracelet! This is a genius idea that makes their items even more appealing and versatile! Thank you so much for the opportunity to enter. I love Twisted Silver and have them bookmarked for future use. I’ve also told everyone in my family that if they want to get me a present then they just need to head over to Twisted Silver. I would be thrilled with any of their beautiful pieces of jewelry. I have my eye on the great Rope bracelet. I love the Edge Bracelet! Really like the key necklace. Alabaster Necklace. Very natural and understated. I love the Athena bracelet. Thanks for the giveaway! I still love the athena! thank you! I am famiiar with the twisted silver site and love all their things, but I really want tht crooked bubbles bracelet in gold. I adore the Love bracelet. Thanks for the chance and calling my att’n to the site. My favorite is Tangle Bangle. I’m torn between the Alabaster necklace and the Gypsy necklace! My favorite piece at Twisted Silver is the Diva earrings 🙂 *Thanks* for the giveaway! I love there jewelry. The Flower bracelet is my favorite. My favorite is the convertible tag necklace! It’s awesome!! I love the Flower Earrings they are sweet! I love the Flower Dome Ring. I really love the Infinity necklace. It’s so pretty! PS I just spent a bunch of time reading your blog about your twins (and the other stories as well). Amazing simply amazing. I love the beatnick bracelet. I have loved it since JUNE! the diva necklace is soooo pretty! I HEART THE Hope earrings! I have the Hope necklace so I’m kinda wanting the Hope bracelet to go along with it. Although the circle bracelet is incredibly unique and a girl likes to stand out now and then! I love the Dragon Celebration necklace! I love the simplicity and elegance of the moon necklace. I like the moon necklace. I like the Athena and Rope bracelets the best! I love the Athena bracelet and the FLower ring. What a great site. THanks for introducing me and enterign my name. i love the starfish brass hoop earings and the convertible tag necklace!! I like the Beatnik necklace, great design and so versatile! I really like the Chic Necklace! I personally like the Align necklace. Very elegant and simple. My favorite is the love bracelet!